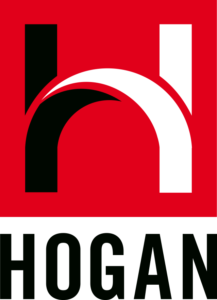 For decades, Hogan has helped organizations find and develop C-suite talent. The Insight Series is designed for the middle – the on-the-ground managers responsible for bridging top management with staff and delivering organizational results. The Insight Series provides organizations with scientifically validated information about an individual’s strengths, performance risks, and core values. Used as a feedback tool for selection or development, the easy-to-understand series gives emerging and mid-level managers the self-awareness needed to perform effectively. Based on Hogan’s trademark assessments, the three-part series includes reports derived from the Hogan Personality Inventory, Hogan Development Survey, and Motives, Values, Preferences Inventory. Uses the Hogan Personality Inventory to determine how individuals manage stress, interact with others, approach work tasks, and solve problems. Uses the Hogan Development Survey to pinpoint behaviors that emerge during times of stress that can cause damaged relationships and derailed careers. Uses the Motives, Values, Preferences Inventory to detail an individual’s core values – the goals and interests that determine satisfaction and drive careers.